On June 20, 2018, the Ecological Movement from Moldova (MEM) organized the Award Ceremony for the Small Ambassador of the cultural-natural reserve „Orheiul Vechi”. The event was held in the administration building of the „Orheiul Vechi” reserve and gathered together the 16 winners of the local stage of the contest, which took place in the villages from the reserve: Holercani, Piatra, Susleni, Mărcăuți, Trebujeni, Ivancea, Furceni and Marcăuți. 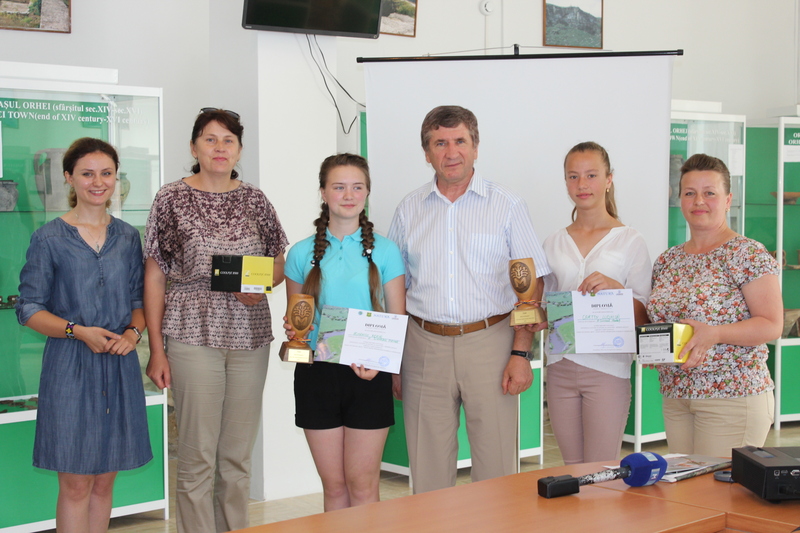 The winners of the regional contest were Cartin Ludmila from Mascăuţi and Romaniuc Xenia from Piatra, to whom the Small Ambassador’s Cup of the „Orheiul Vechi” Natural Cultural Reserve was given. The event was organized within the project „Local youth – the voice for a sustainable promotion of the „Orheiul Vechi”, implemented by MEM with the support of the US Forest Service. The awards were handed by the special guest of the event, Mr. Constantin Mihăilescu, expert in Environmental Protection at the United States Agency for International Development (USAID), who came with a congratulatory message from US Forest Service to all teachers and participants, with special greetings for the winners of the contest. In his speech Mr. Mihăilescu stressed that the involvement of the young generation in the deep knowledge of natural potential and cultural monuments through practical activities according to the principle of “learning by doing” is a very important factor, and the promotion educational programs for young people and adults is a priority area of ​​the US Forest Service – a multifunctional institution that promotes many other ecological, tourist and cultural activities in addition to its core activities aimed to protect forests. The project “Local youth – the voice for a sustainable promotion of the „Orheiul Vechi” cultural-natural Reserve”, implemented in Moldova, is one of the initiatives by which this sustainable approach of the US Forest Service is promoted internationally. Other people who took part in the awards ceremony were Ms. Lilia Curchi, editor-in-chief of the NATURA Magazine, as well as Mr. Sergiu Popescu, director of the „Orheiul Vechi” Natural Cultural Reserve, who expressed their greetings towards the contest participants. After the awarding part, all the participants together with their teachers received gifts such as postcards from the „Moldova Pitoreasca” Collection, „NATURA” magazine, calendars and a free course on the bases of photography wrapped as an excursion in the area of Cultural-Natural Reserve „Orheiul Vechi”. The contest in which the 16 children participated prior to the Award Ceremony took place during March-June 2018, being a joint collaboration between MEM and its partners – schools from Trebujeni, Furceni, Ivancea, Mașcăuți, Marcăuți, Susleni, Holercani and Piatra. The competition was carried out in two stages: the local one, where students from the 8 schools competed to present their cultural and natural potential of the setllement through a work consisting of an essay and drawing. As a result of the first stage, the best works were selected in each school. with 48 works being awarded locally, while the 1st place from each village were granted participation in the second (regional) stage of the competition. In parallel with the Contest, in order to help the children to get to know their settlements better, the teachers organized practical lessons an field excursions in each village. In total, more than 20 objectives from the 8 localities were presented in 32 excursions (4 excursions in each settlement) attended by more than 500 students. 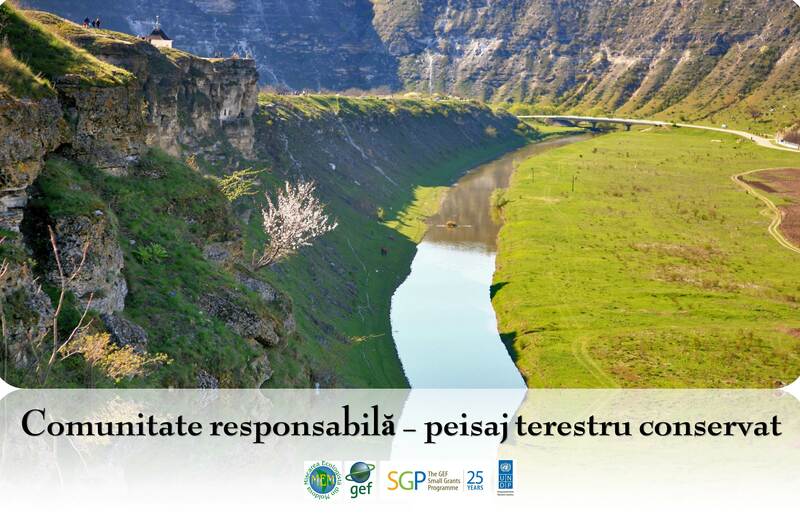 More details about the project “Youth from Orheiul Vechi – Voice for the sustainable promotion of the Reservation” can be found here: http://mem.md/tineri-din-orhei-vocea-pentru-promovarea-durabila-a-rezervatiei/.